iPad Air 2 + iOS 12 = no Reddit app ?! 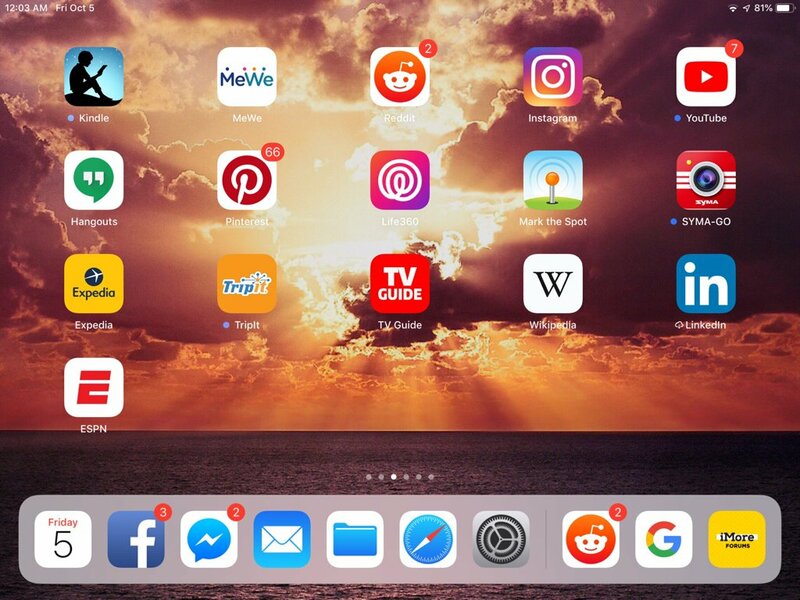 My man’s iPad is an Air 2 and after installing iOS 12, his Reddit app (Alien Blue) no longer works. He tried deleting and reinstalling it and he can’t reinstall. Yep, if you can’t get it from the store to install it’s because it was not updated for 64bit support. There are lots of Reddit apps including the official one. I have the Reddit app on my Air2 and it works just fine. The stock Reddit app is just fine. There is also an app called Apollo which is good, but I prefer the stock app. On iOS 12? Hmmmm. His does not work at all. Tried both, the format is an eyesore. Open Safari, open https://reddit.com , tap the share button on the task bar, choose "Add to home screen". Now you can access reddit in Safari by tapping a home screen icon. It looks pretty close to the desktop reddit to me. I'm not sure why the stock app is an eyesore - it's really quite plain on my iPad/iPhone. But, to each his own. Annie_8plus and Evilguppy like this. Apollo is one thousand times better than any Reddit app on iOS. With one exception: if reddit goes down, or you have bad connectivity, etc., and try to send a comment or a post and it doesn't reach reddit, it doesn't fail with a message. It just disappears. (At least it did the last time I tried using the app.) That doesn't happen with the stock app. I stopped using it after losing a few comments.